Home > Could water help you prevent winter weight gain? This year’s most popular New Year’s resolutions have now been revealed, and it’s no surprise that eating better and exercising more top the recent YouGov poll. The indulgence that goes hand-in-hand with the festive season is just one of the reasons why so many Brits want to realise a ‘New You’ in the New Year. In addition, weight gain is more of a problem in winter, as the weather outside leaves us miserable. There’s more opportunities to overeat too, thanks to Christmas and office parties. 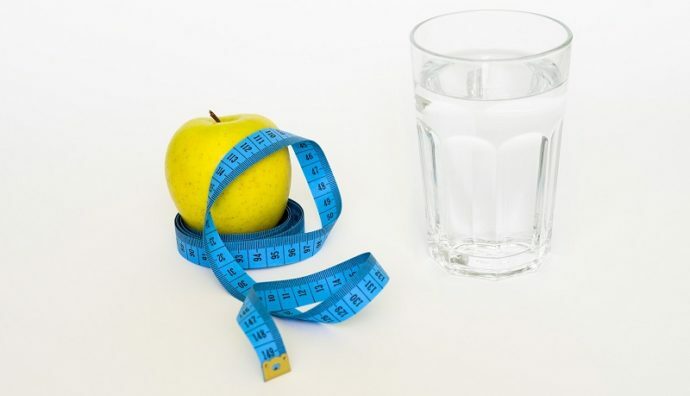 But could water help curb weight gain? Drinking more water will not only curb your hunger, it will help you reduce your liquid calorie intake, which can accumulate easily due to bad beverage choices. Sweetened coffee and tea, juice, soft drinks, sports drinks, and alcoholic beverages all have hidden calories that shouldn’t be ignored. Your morning cup of black coffee contains 8 calories alone, and that’s before you even add the milk and sugar! Beware no added sugar drinks too as they may not be all they seem. Making smarter choices when it comes to what you eat and drink is important, and you can’t go wrong with selecting water as your go-to beverage thanks to its hydrating, calorie-controlling benefits. Drinking water will help your body burn more calories, particularly when you drink it cold. The consumption of cold water causes the body to expend energy and use more calories as the water has to be heated up for digestion. We’ve covered how making smarter beverage choices can have a positive impact on your New Year diet, but remember: for every bit of physical exercise you do, the water lost through sweating has the be replaced. Increase your intake with your exercise regime in mind, remembering to hydrate every 20-30 minutes when exercising, as well as throughout the day with every meal and snack. The use of water during exercise will also help to keep your muscles and connective tissues well-lubricated while you’re working out – which can help you avoid aches and pains later. Staying hydrated during exercise will make muscle cramps and fatigue a thing of the past. It’s not just your activity levels that will dictate how much water you need to drink to stay hydrated and healthy. Your age, body type, and size, and the environment around you (hot, humid and sun exposed surroundings may call for increased hydration) will all influence individual water intake. Choosing watery foods will also help to boost intake, with fruits and vegetables providing the high water content you need to stay hydrated so you can hit those weight loss goals.